Welcome to our wonderful world of Lactose intolerance! The weird thing is, we were not always this way. But all of a sudden, at age 20, or 30, or 40, or 50, milk and us just don’t get along. Why, should we ask? After all most babies digest lactose just fine. However millions of adults don’t. For most of us, it’s just a normal part of growing older. And the older we are, the more likely we are to have problems with dairy. Sometime during the last trimester of our mother’s pregnancy, just weeks before we were born, our intestinal lining began gearing up by starting to make an enzyme called lactase. Lactase has one job: to break apart the complex sugar in milk, lactose to form two simpler sugars that can readily be absorbed into our bloodstream. For the first two to five years of our life, milk was a staple of our diet. And our intestines pumped out lots and lots of lactase. But gradually, we started eating other foods. Lactose became a less important part of your diet and our lactase production started to decrease. 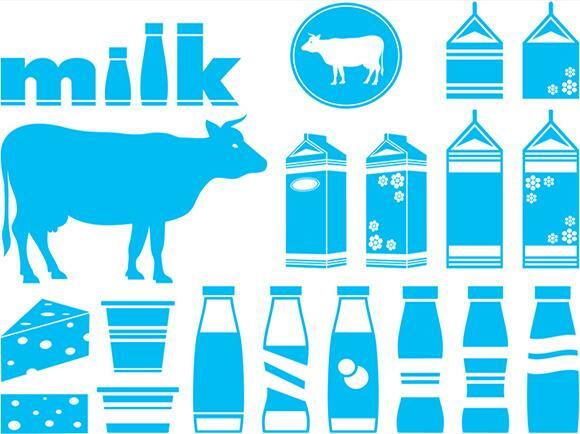 Did you know that 30 million Americans just can’t tolerate milk? It’s not that we don’t like it. We do! But our bodies just aren’t turning out enough lactase to handle all the sugars in the dairy products we eat and drink. Without lactase to break it down, lactose moves, intact, from our small intestine into our colon. There, a whole group of bacteria go to work on it. But unlike lactase, which breaks the lactose molecule apart, all those bacteria can do is ferment it. The fermentation produces gas, along with other byproducts, and is what create the “discomfort”. The gas, the bloating, the bellyache, the diarrhea are all part of the same problem. Our only solution is to stay away from all milk products, even the ones we know are really, really good for us as they contain active probiotic cultures. If your body is still producing a small amount of lactase, you may be able to handle fermented dairy products like yogurt and kefir. If you cannot but still want to enjoy the benefits of active probiotic cultures, try KEFIRAN. Two capsules contains 50 billion of Active probiotic cultures from 7 different strains to promote digestive health and intestinal balance*. KEFIRAN contains no dairy, no lactose and is 100% Vegan.